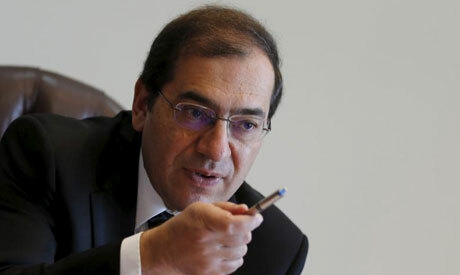 Egypt's Minister of Petroleum and Mineral Resources Tarek El-Molla held talkswith Jordan's Energy Minister Hala Zawati in Cairo on Thursday, during which both sides discussed amending existing natural gas sale and purchase agreements, allowing Amman to import enough gas from Cairo to cover 10 percentof the kingdom's demand for electricity generation. The two sides signed a memorandum of understanding during the meeting. "The Egyptian petrol sector always seeks to discover new fields outside of Egypt, while increasing investments and entering new markets in Jordan," the Egyptian minister said, noting many areas of joint cooperation between the two countries that can contribute to achieving positive results beneficial for both sides during the upcoming period. The parties also discussed continued cooperation between the two nations regarding mineral resources. The amendments will be carried out in early 2019, the Jordanian energy minister Hala Zawati said in a statement. The amendments came following the recent gas discoveries in Egypt’s Zohr field, he added, noting that production at the newly discovered sites begun last December. Jordan needs nearly 330 million cubic feet per day of natural gas to generate electricity.